Jillian and Logan Ivey are creative partners from Cleveland, Tennessee in a musical duo called The Mailboxes. Jillian is a classically trained pianist and singer-songwriter who began playing shows under the moniker of The Mailboxes in 2009 and then released a full-length record called Red Flags in 2013 and an EP called Post Script in 2015. After her second release she started touring and playing shows across the country for weeks at a time which is when Logan, her husband, decided to join the project full-time as her drummer and creative partner. The two began touring and reimagining the project as a collaboration, and now the project has become more than just a musical group, but a creative endeavor that blurs the line between and performance art and music performance. In 2019, they will be releasing a new album of original songs called Inside Outside. They plan to promote their new music release through a series of connected art pieces involving a thru-hike of the Appalachian Trail, handmade lavender clothing and gear, and a national tour. Their mission is to connect to people and the world around them in order to cultivate care that leads themselves and others to create artwork and solutions that educate and solve problems in our world. Their goal is be full-time artists creating music and art pieces to engage and share with others. The album colors for Inside Outside, lavender and dark green, are meant to represent our inner and outer worlds. Lavender represents our inner world: humanity’s creativity but also our desire to be comfortable and safe. Dark green represents our outer world: the beauty and inspiration but also the danger coming from the external forces around us. The album Inside Outside is about exploring and reconciling those two worlds in our own lives in hopes of finding meaning and connection. We hope to inspire others to go on their own journey of exploration and find how their passions and talents can benefit others and the world around them and bring meaning to their lives. We want our project to connect to people – both literally in that we want to physically meet people on the trail and tour but also hoping that the art we make moves and connects others near or far to think and grow. 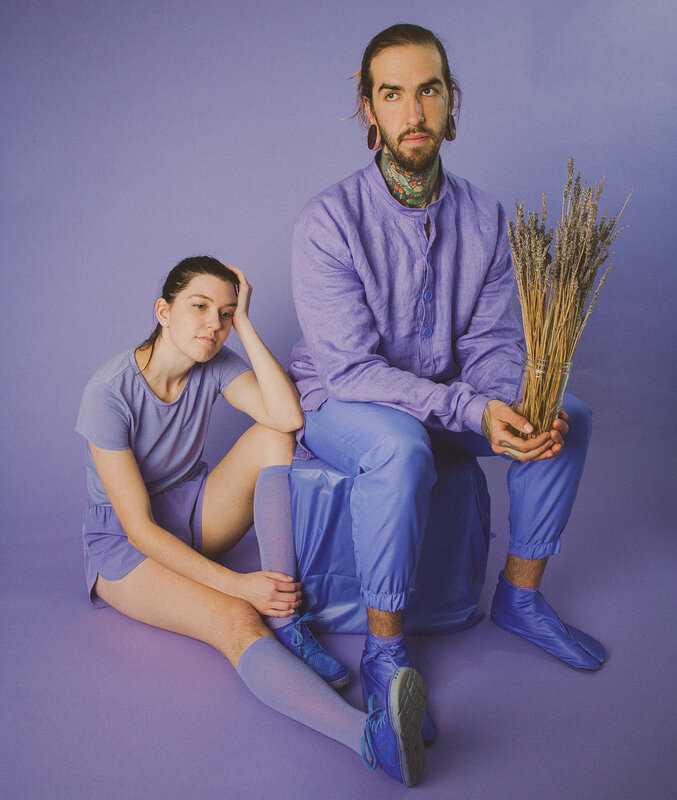 We are going to be hiking the Appalachian Trail and going on tour wearing completely lavender clothing and gear to represent bringing our inner selves to the outside world. The outer world will be represented by dark green found in the nature around us on the trail and by green backdrops on stage during the tour. 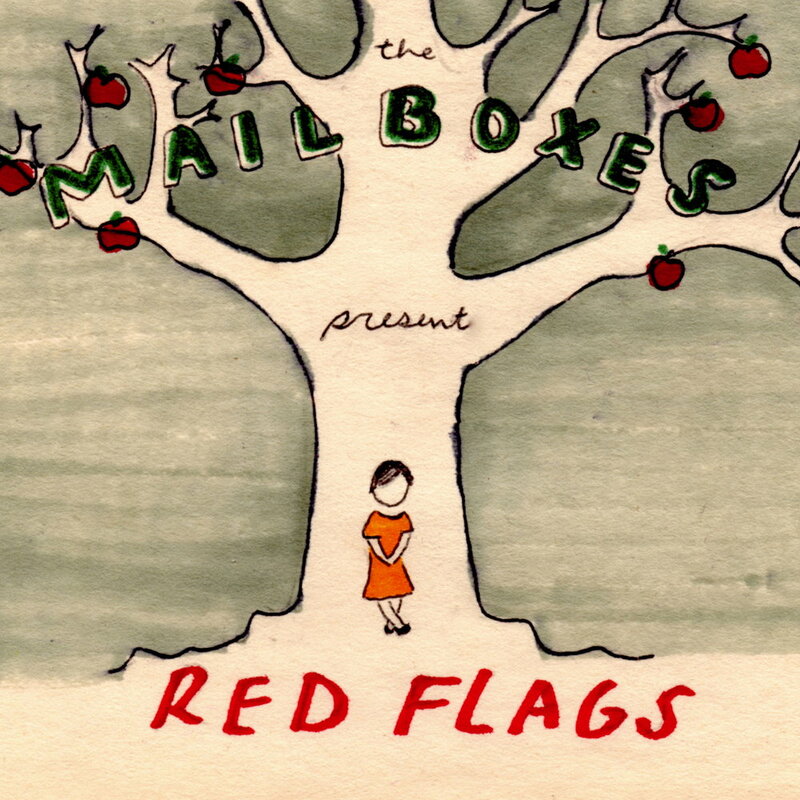 Starting in January The Mailboxes will be releasing singles from the album leading up to the online release this summer. They are launching a Patreon page where fans can pre-order their album and follow along their journey. On March 2nd there will be a trail kick-off and album release concert at Songbirds North in Chattanooga where local fans can purchase the album before its full release. From March through June The Mailboxes will be hiking the AT in completely lavender gear while playing ukulele versions of their songs to fellow hikers. They’ll be posting pictures and uploading vlogs of their travels so people from back home and across the globe can follow along their travels and experiences during the project. After they reach the end of the Appalachian Trail in Maine their tour crew will meet them and they will start a 2-month national tour playing shows in venues across the country while continuing to wear lavender and using lavender instruments. After the national tour there will be a free community concert at Lee University in Cleveland, Tennesee and an art gallery at Association for Visual Arts in Chattanooga, Tennessee displaying all their lavender gear where they will present on the finished project and allow people to experience their art and music in a gallery setting. We’ve been reaching out companies to get support for our project. We already have sponsorships from companies such as Fender, Kala, TreeHouse Drums, Crocs, Astral Footwear, RitDye and Nuun! We are currently trying to get food sponsors to help cover trail food costs. We are looking for companies to sponsor one week of food for us on the trail in return for us promoting them on our online platforms! We love what Ready Network is doing to prepare people for natural disasters and love how your products can also be used for outdoor travels! We’d love to use your food on the trail! We already have a couple food sponsors, but the trail is 16 weeks long and we need food for every week of our trip! In return, we’d love to promote you and thank you publicly for donating food to our project! Our Trail Food Wish List! We are vegetarians, so that limits our options of what Ready Network products are options for us, but if you provided us with 16 meals (for 2 people) we could eat 1 of each of your prodcuts a week! We’d also love to try your instant coffee, Cafe UTOPIA, because it looks amazing!